Mute finally release the CAN studio album reissues individually on vinyl. The albums were mastered and cut to vinyl by Kevin Metcalfe at The Soundmasters, London. Remasters and vinyl processing was coordinated by long time collaborator, Jono Podmore. 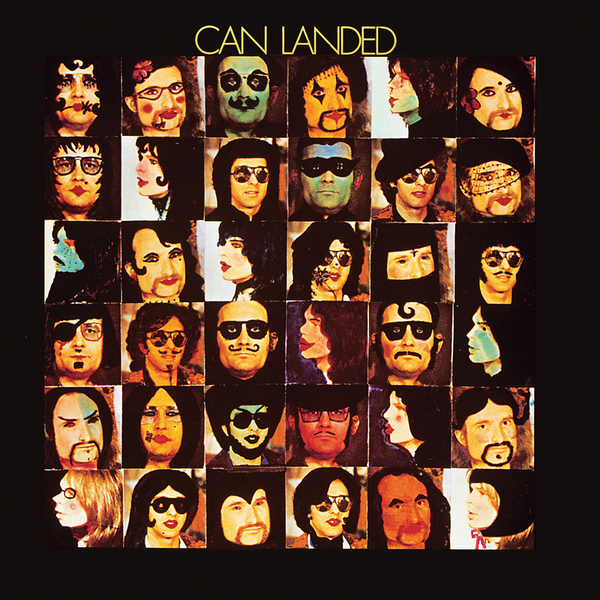 ‘Landed’ was Can’s seventh studio album, released in 1975. The band upgraded to 16 track recording and had the opportunity to bring out many more layers of sound and an upbeat nature for most of the tracks in the process. The album was produced by the band themselves and it provided the single ‘Hunters And Collectors’, backed by ‘Vernal Equinox’, which was issued on Virgin that same year.